Sohrab Khoshbin, Ph.D., M.Sc., D.Hom., D.Acu., C.H.T. As the creator of ALVEO and the founder and president of the Canadian College of Holistic Health and Wellsprings College of Massage Therapy and Esthetics, Dr. Khoshbin has over the past decades utilized innovative, complementary herbal and nutritional therapies in his private clinical practice. He has dedicated his work and research to natural medicine and to the development of herbal medicines and supplements. 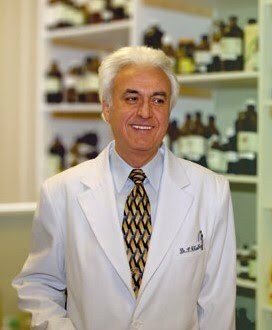 Dr. Khoshbin is a member of AKUNA’s Scientific Advisory Board and the creator of the ALVEO formula. He is also the founder and president of the Canadian College of Holistic Health and the Wellsprings College of massage Therapy and Esthetics. Over the past decades, he has utilized innovative, complementary herbal and nutritional therapies in a clinical private practice. He has dedicated his work to researching natural medicine and to the development of quality natural herbal medicines and supplements. Dr. Sohrab Khoshbin is the founder and president of the Canadian College Of Holistic Health. Sohrab Khoshbin moved to Canada from his native Iran in 1980. Since that time he has worked tirelessly in educating himself and others about alternate forms of medicine. He has written four books about the uses of herbs and natural remedies entitled 100 Magical Herbs (three volumes) and Natural Remedies which are being translated into seven other languages. Among many other things he is the inventor of numerous herbal remedies for arthritis, Parkinson’s, AIDS and many others. He is well know also as the creator of Alveo - herbal tonic containing a refined combination of herbs. From 1999 Alveo helping improve health people in many countries.